www.autofinders.co.uk has the following special offer cars IN STOCK NOW on the new “10 plate registration”. All cars supplied by Autofinders are UK franchised dealer supplied with full UK manufacturer’s warranty, breakdown cover, 12 months road tax, government 1st registration tax and all on the road charges included. Autofinders do not sell imports of any disguise. Toyota Aygo blue special edition, 3 and 5 door available in stock now immediate delivery. High spec includes Air con, Alloy wheels, metallic paint etc…Save over £1,200 on the showroom recommended price. 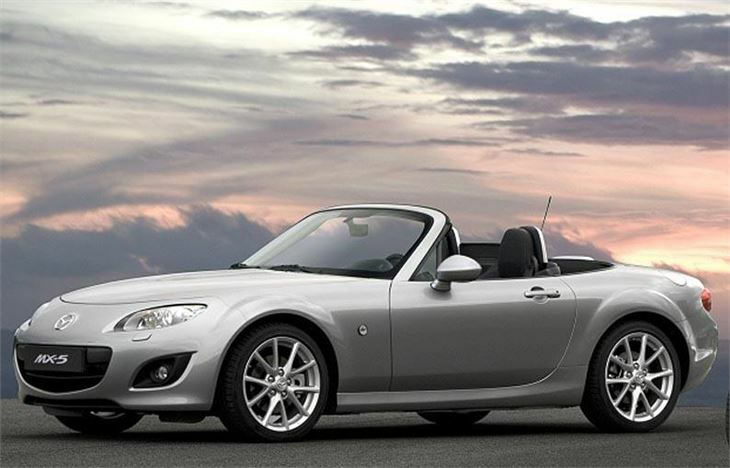 Mazda MX5---Choice of soft top and roadster models available from stock, SE, Sport-tech and power-shift models available…Save up to £3200 on list price—Brand new UK cars not pre registered. Audi A3—choice of 3 and 5 door models---1.6 tdi and 2.0 tdi 3dr and Sportback models…huge savings on list price, choice of cars in stock now—brand new UK cars not pre registered. VW Golf…Choice of models available, 1.4 TSi and 2.0 Tdi 3 and 5 door models available..UK supplied with thousands off list price. model Kia Sorrento with incredible savings of over £3500!!!! All cars above subject to availability while stocks last…All UK supplied and include free delivery to your door. Autofinders operates one of the safest purchasing methods available- simply pay a small deposit by secure credit card and don’t pay the balance until you have received your new car. Its safe and simple. Part exchange always welcome. Autofinders are licensed credit brokers and can offer all types of finance facilities and independent advice including hire purchase, personal contract purchase and personal and business leasing schemes. Members of the Retail Motor Industry Federation (R.M.I.F) Autofinders invites any potential customer to visit its new high street premises in the historic market town of Chesterfield, Derbyshire, ideally located just 10 minutes off junction 29 of the M1 and on the main northern railway line linking London to Edinburgh.